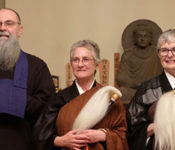 We have one week left of our annual Membership Drive and have welcomed 56 new members to the Zen Center community. That means we’re 44 members away from reaching our goal of enrolling 100 members in 30 days. 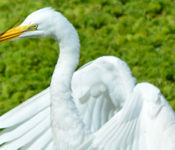 Great Egret landing, at Green Gulch Farm. Photo by Clare Hollander. Drawing with an eye-dropper and sumi-e ink, I aim to reproduce, not so much the reality, rather its sentiment or felt nature, which in Japanese can be called Kokoro mochi—the moving spirit. 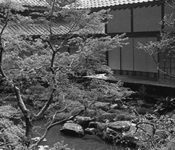 Rinso-in, the temple in Japan where Shunryu Suzuki Roshi was the resident priest. It is now overseen by his son Hoitsu and grandson Shungo. Photo from 1996 by Bill Schwob. We are half-way through our August Membership Drive and are pleased to welcome over 33 new members to the San Francisco Zen Center community. 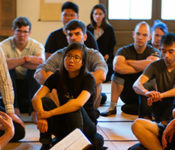 This month is our annual Membership Drive and during the next few weeks we will explore the many types of connections at San Francisco Zen Center. 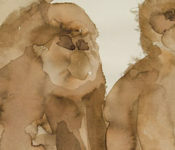 How do we connect to admirable friends and inspiring teachings?